The Fiction Freelancing series presents the individual experiences of editorial freelancers working on the genre of fiction within both the publishing sector and the independent-author market. Here in this first post, I take a look at proofreading for trade publishers. Other posts in the series cover editing fiction for independent authors (Part II; Ben Corrigan), editing adult material (Part III; Louise Bolotin), and editing genre fiction (Part IV; Marcus Trower). I launched my freelance career in 2006 by specializing in social science books and journals. However, over the past few years my portfolio has become a little more diverse. This came about after I was approached by a leading independent trade publisher on the recommendation of one of my academic publisher clients. My fiction proofreads include Pulitzer Prize-winning Jennifer Egan’s A Visit from the Goon Squad, The Mammoth Book of SF Wars (edited by Ian Watson and Ian Whates), two novels by crime novelist Diane Janes, The Pull of the Moon and Why Don’t You Come for Me?, the new edition of Donn Pearce’s Cool Hand Luke, and Christopher Buckley’s satirical gem Little Green Men. I am strictly a proofreader, not an editor. At proof stage, the pages being read have usually been typeset and are just about ready for press; all the developmental work has been carried out; and the book has been copy-edited. My job is to focus on any final inconsistencies, spelling, grammar and punctuation errors that were missed at copy-editing stage, as well as layout problems that crept in during the typesetting process. Unless you have prior experience with this genre, either in-house or as a freelance, this can be a difficult field to access at the beginning of your career. It’s very competitive and most publishers tend to stick to proofreaders who have a background in the field and who don’t need hand-holding. Recommendation can play a huge part, as can luck. Nevertheless, perseverance might pay off so if this is something you really want to do, then you should have a go. The worst thing a prospective client can say is "no", but at least you'll have tried. Writers' groups: face-to-face and online networks and hang-outs. Online publishing networks: including LinkedIn groups. Custom/vanity publishing websites: these sometimes include listings of editorial freelancers. Blogging: posting regular articles geared toward writers. Research: look at the websites and other online profiles of established fiction freelancers to see how they present themselves in terms of their tools, services, testimonials, support articles, etc. Directory entries and society job boards: get yourself listed in the key national directories and keep an eye on the jobs boards to see if writers are asking for sample quotes. Free listings: ensure you're listed on your country's free listings sites (e.g. Yellow Pages in the UK). 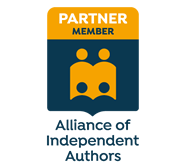 Engage: if you want to be seen by indie authors, it may help if you are engaging with their business. Your tweets and discussion contributions need to reflect this. In general, if you don't have any experience, think about how you can get some. Consider offering to do some gratis work for small, independent presses who can't afford to buy in editorial services. Or contact a local writers group and offer to do a free proofread for a member. How about posting a competition on your website with the prize of a free proofread to début authors? These tactics and any others you can think of will build your experience, chunk up your CV and generate appropriate testimonials. And the more of all three you have, the more likely you are to make an impression on a trade publisher. If you already have some professional proofreading experience and want to target paying publisher clients, consider focusing on those who publish both fiction and non-fiction. You may find it easier to get work on their non-fiction lists first; once you have in-house contacts the transition to fiction will be easier. Be sure to check on their websites first to ensure you have the necessary qualifications. Some publishers’ sites make it clear that it’s a waste of time contacting them as they have an established bank of freelances. Others have particular requirements in terms of experience and training. The titles of the people you need to contact vary from publisher to publisher but include: production editor/manager/controller, desk editor, managing editor and project editor. A quick telephone call to the company should clarify who you need to target for each of your prospective clients. My strategy (with any publisher, trade or otherwise) is to contact this person with an initial email and then follow up with a covering letter and CV (so that they have something to hold on file). I find fiction proofreading much harder than social sciences academic proofreading – all the rules of grammar, punctuation and spelling can go out of the window and the layout of the text might appear unconventional. If you are used to working on professional or academic projects, the work can seem daunting and in my experience generates more head-scratching moments. Breaking convention: Sometimes a writer will decide to do away with a particular convention. A good, though rare, example the omission of quotation marks – this decision may be, for example, because the author wants to keep their reader guessing as to whether their character is thinking something or is actually saying it. You may also come across incomplete sentences. You may see phonetically spelled words that indicate a character’s accent. You may come across unfamiliar syntax and terminology when characters are speaking in dialect. Be sure you are clear before you start the job as to anything unconventional about the fiction title you’re working on and be prepared to leave well alone or use a pencil unless you are sure about your changes. Your publisher will be able to guide you on the decisions that have already been made as to how these elements should be treated. Author style: Care needs to be taken when proofreading a fiction title so as not to interfere with the author’s style. This relates back to the issue of convention breaking. Yes, your author uses split infinitives and comma splices. You may not like them; you may think the sentences are clunky to read. But that may be their way, and it’s not necessarily the proofreader’s job to correct this – a judgement may have already been made by a copy-editor and in-house desk editor in discussion with the author. Again, you should leave well alone unless you are sure of what you are doing. Don’t spend too much time with your head in your hands, wondering whether to inflict your red pen on the page; instead, use pencil. If you see a similar problem cropping up repeatedly and you’re not comfortable with putting it down to "author style", call up the project manager. The brief: Working for any publisher client (trade or otherwise) requires that you stick to the brief. Ask your in-house editor what they expect from you and how far they want you to intervene. You’ll probably be working on page proofs so the degree to which you intervene will be determined by your client. Some want minimal correction at page-proof stage; others may wish you to be pedantic. Read first; proof later: One tactic I find useful when I proofread fiction is simply to read two or three chapters before I do anything else – I’m not looking for mistakes; I’m simply getting a feel for the plot, the author’s voice, which characters are being introduced, and taking note of any unconventional styles I come across. This helps prevent the "head in hands" scenario. Enjoying the job too much: One of the dangers of proofreading fiction is getting so wrapped up in the story that you end up reading the book rather than proofreading it. Force yourself to keep your pace steady rather than rushing ahead in an effort "to see what happens". Inconsistency: Make a style sheet so that you’re clear about things you need to be checking – characters’ names and consistency in how they are spelled are particularly important and mistakes not only make the work look sloppy but also render the story confusing to the reader. Ask the publisher for a PDF of the proofs; strip the content into a text file and run word-frequency/concordance software to generate a word list. You can scan the list for all proper names and see if there are inconsistencies. Style: As with any proofreading project, regardless of genre, take care to adhere to the publisher’s preferences: -ise/-ize endings, US/UK spelling (grey/gray; colour/color), terminology (elevator/lift; sidewalk/path) and punctuation style. Missing line spaces and other layout issues: Watch out for changes of scene that are not indicated by line spaces. These breaks can easily get lost in the typesetting process and can make things very confusing for the reader. You may also be confronted with other aspects of unconventional layout, such as the way dialogue is displayed, some of which would ordinarily be considered incorrect. Always check with the client or and query in pencil. Amending with pen could have serious implications for pagination. Dialogue: Particular care needs to be given to the management of dialogue in fiction proofreads. One of the most common errors is missing closing speech marks around dialogue; another is misunderstanding how punctuation within speech marks is to be treated – this varies according to publisher style. Treatment of different types of speech: Some clients may prefer to treat speech in memories, dreams and thoughts differently from conventional speech – use of italics and the omission of speech marks are common in these cases, so be sure that you understand the conventions being used and mark up accordingly and consistently. A word of warning – Are you proofreading or editing? ​One of the trickiest things you may come across is that of being commissioned to “proofread” when actually you’re being expected to edit (one of my colleagues calls this “proofediting”). Some trade publishers are doing away with the copy-editing stage of the process, or doing the editing in-house to save on the cost of a professional freelancer. The proofreader is not always aware of this. The result is that some proofs could arrive on your desk that are not of a standard you are used to working with. Perception of your role: If you haven’t been told explicitly that the proof pages have not been copy-edited, you may end up making false assumptions about what is required of you. This can lead to under-marking in the belief that such a level of intervention is inappropriate at proofreading stage. Your client is expecting one level of service, while you are providing something different. Practical issues: Proofreading badly written and unedited manuscripts that have already been typeset is a difficult task. There is less space on typeset pages in which to mark up. Where the proofs need heavy intervention, this can be problematic – while the focus should be on amending each error as you find it, instead you could be drawn towards concentrating too much on how to manage the spatial issues. Take care not to miss obvious, small errors because your attention is being pulled in another direction. Skillset: Unless you are a trained copy-editor you may not have the skills to do the work the client wants – copy-editing and proofreading are different jobs and you may not feel you are up to the task. Fairness: Even if you are a trained copy-editor, you may feel that you are being expected to do the job of an editor but for proofreading rates. If you find yourself in such a situation, contact the desk editor immediately and ask about the copy-editing work that was done on the manuscript. Try to get as much detail as you can on what is required at proofreading stage. Then make your decision as to whether you feel comfortable dealing with the work. This puts you in control and will prevent problems further down the line. Trade publishers tend to pay lower rates than their academic counterparts. The higher rates tend to be offered by science, technical and medical publishers, who often commission editors and proofreaders with relevant qualifications in the field. Fiction rarely requires specialist knowledge of any particular kind; additionally, there are lots of people who want to proofread this genre. While it’s difficult to generalize, fiction rates tend to come in at around £10–14 per hour in the UK publishing industry. Trade publishing business models often make for slim margins, and the editorial services budgets reflect this. Having said this, I find the work hugely rewarding – it's a genuine pleasure to get up in the morning, knowing that you are being paid to proofread something you’d enjoy reading in your leisure time! Have you proofread fiction for publisher clients? If so and there's something you want to add about your own experiences, please let us know in the Comments section. Thank you - very interesting. One question though: what word-frequency/concordance software do you use/recommend? Hi Lola - I wouldn't go as far as to say I recommend any one piece of software because I haven't really investigated the issue in full. I use TextStat and it does what I need it to. You can download it free here: http://neon.niederlandistik.fu-berlin.de/en/textstat/. When I first started using it I found it a bit fiddly. I have a set of simple instructions that I can email you if you decide to give it a try.